Paul Gleason was born on May 4, 1944 in Jersey City, New Jersey. 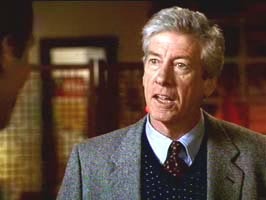 Sometimes Paul Gleason is credited as Paul Xavier Gleason. Starting out with a bang, Paul Gleason was on the hit day time soap series All My Children playing DR. David Thornton, after All My Children Gleason kept on going doing movies and other popular TV series like Another Life, Lost On Earth, and One West Waikiki. Gleason was also part of the cast for the hit series Superior Court playing an attorney. Paul Gleason went to school and played football at Florida State University, at the same time that Gleason attended the University so did Burt Reynolds and Robert Urich. In 1988 Paul Gleason took a uncredited role in a movie that was a big hit he played a Blind Boy Grunt in She's Having A Baby. It seems that Paul Gleason has been handed role were he has to play a guy with a lot of attitude, coming off with rather grumpy, in The Breakfast Club he played the very grumpy and mean principal, in charge of a group of misfits for Saturday detention. 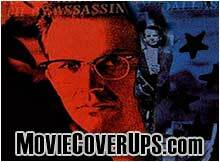 In 1983, he was an FBI agent with a bad attitude in Trading Places, and following the law as the Deputy Police Chief with a chip on his shoulder in Die Hard, in 1988. Stage actress Joanna Hall was married to Paul Gleason. Joanna is Monty Hall's daughter, and is a great film, TV and stage actress. Together they have 1 child. Tough New York cop John McClane, played by Bruce Willis, in the 1988 movie Die Hard, worked first hand with Paul Gleason, playing Deputy Police Chief Dwayne T. Robinson, a role that Gleason was able to throw around his big bad attitude in New York. A major hit in the mid 80s was The Breakfast Club, where Paul Gleason was Principal Richard Vernon trying to making the students day worse then it already was, giving a group of misfits a writing assignment. Saturday detention would never be the same. He had a jock; Emilio Estevez, a princess; Molly Ringwald, and a nerd; Anthony Michael Hall. To liven things up, angry rebel Judd Nelson, also part of this group, was the stoner who was the catalyst who both encouraged self-examination/reflection with the help of pot, and taught the group not to worry; just go with the flow. Then, there was Ally Sheedy, who played a girl that was a bit odd and gross, until the end when Molly Ringwald taught her some make-up basics for women. 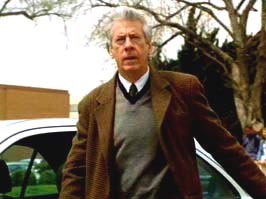 Paul Gleason has also been the guest star in numerous TV series, including Nash Bridges, Chicago Hope, The Drew Carey Show, Friends, Malcom In The Middle, Cold Case, and Dawson's Creek, just to name a few. Paul Gleason in The Breakfast Club. Paul Gleason in Trading Places (1983). 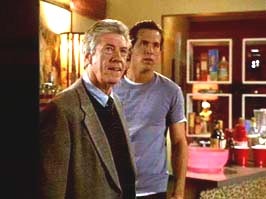 Paul Gleason in Van Wilder (2002).